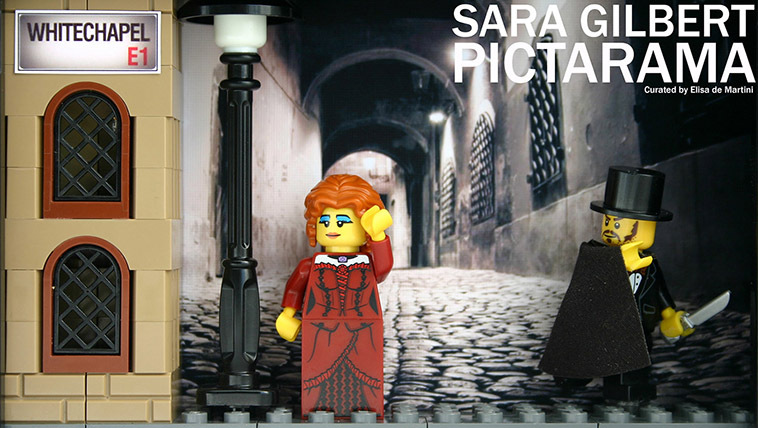 Elisa de Martini presents PICTARAMA by Sara Gilbert. PICTARAMA is a collection of witty, unique and often surreal dioramas, constructed using LEGO bricks – often vintage, collectable or custom-printed pieces – representing a variety of scenes from history, London life, film and popular culture. The exhibition ran from Saturday 29th April – Saturday 13th May 2016.